Did you know that Final Fantasy Type-0 HD has little Real Time Strategy segments? Well you do now because I just told you! Not only that, Square Enix Plays is back today as UK Community Manager walks players through the game’s world map and strategy skirmishes this time. These special missions involve Class Zero as they and other Rubrum forces fight off invaders and march forward to take scattered towns from enemy nations by bolstering your troops. Final Fantasy Type-0 HD is due out next week in all regions both physically and digitally. First print copies of the game come bundled with a voucher to download the Final Fantasy XV demo, also available on the same day. Posted in Final Fantasy Type-0, Videos. So excited! I love RTS. 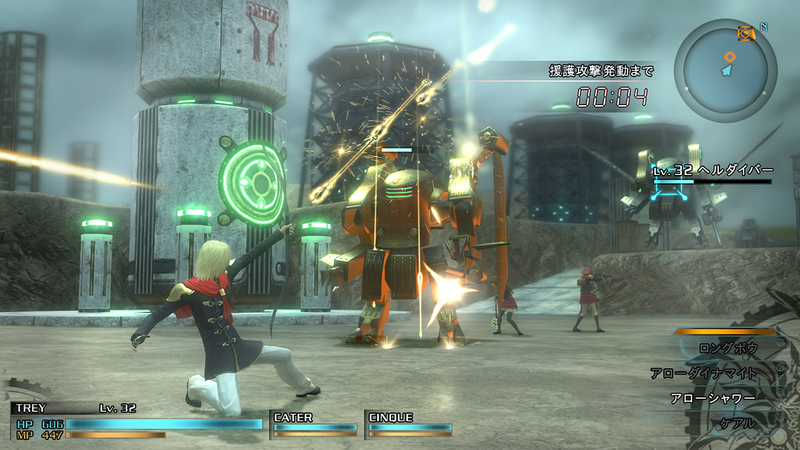 I have been distant from RTS lately but FFType-0 missions were exciting. Can’t wait to play them in HD. So you do these to free conquered lands? Not bad. And on top of that you free towns and have new places to show. Only problem is, if you don’t master it you’ll be limited to where you can go. Try and Die when it shouldnt , i see what you mean. The reason I don’t watch Subbed anime or JRPGs is because when I read fast to keep up with the rhythmic way JPN language is, I often loose the tone of what is said or miss a piece a a fast-paced fight scene looking at the text. But that’s me. That’s why I couldn’t import it. Yup exactly why I couldn’t really play the import. I tried for a little while, but it was so in depth with everything I was in over my head. I’m sure I could have figured it out eventually, but at the time I just didn’t have the time to devote to translating and trying to understand everything. Then I forgot I had it hehe. Luckily now I’ll have it in a day or two in English (hopefully with Subs).